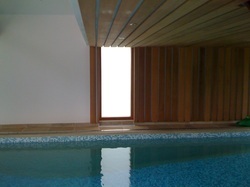 This project is one to be proud of , the tired poolhouse was in desperate need of updating. 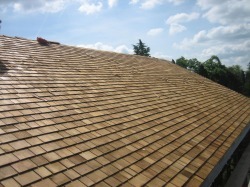 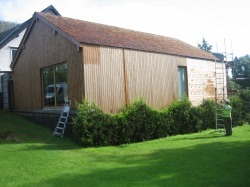 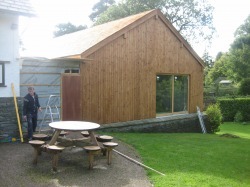 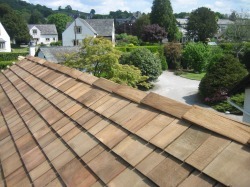 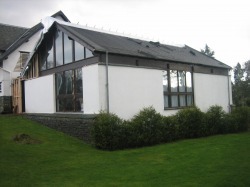 The first thing that we did was strip off the roof and replace it with western red cedar shingles, and then we cladded the exterior of the building with thermowood. 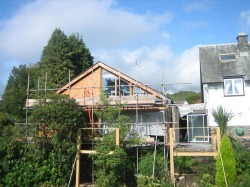 On the inside we took out two of the truss beams which supported the roof and replaced them with steel so that we could form a mezzanine, which we made into a cinema room, which now overlooks the swimming pool. 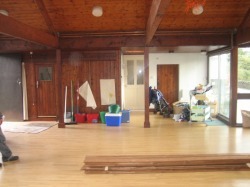 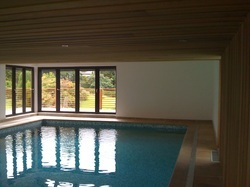 In addition to this, we then lifted the floor covering the old pool and reused it in the cinema room. 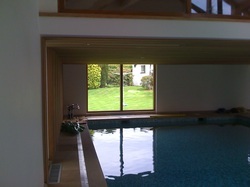 Once the pool was uncovered we took out the supporting framework and cleaned the pool which had been covered for 16 years. 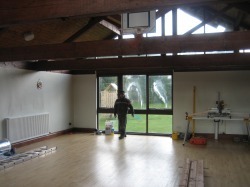 After plastering and painting the rooms we cladded the ceiling and one of the walls with cedar strips. 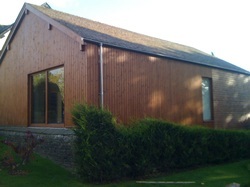 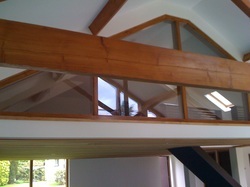 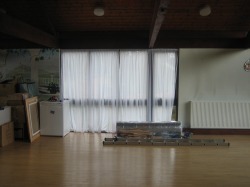 We replaced some windows with idigbo timber and double glazed units, and the others with aluminium tri-folding doors.